It’s workout time again! 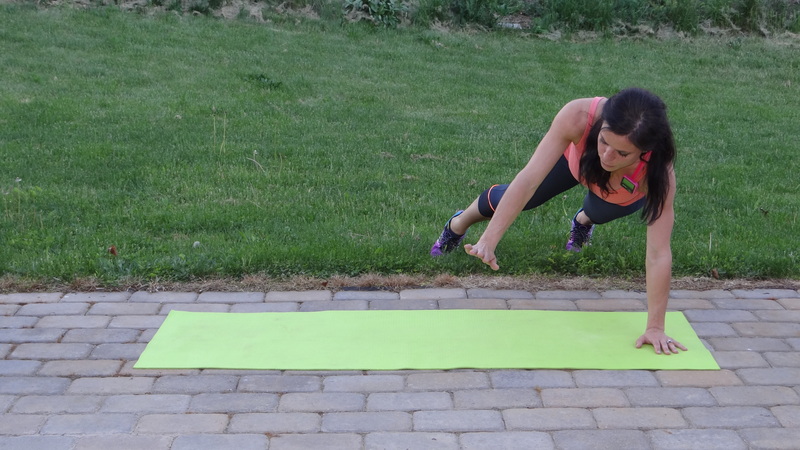 I have a throwback workout for you today, but I am also filming a brand new workout (or two if I am up to it!) this evening. 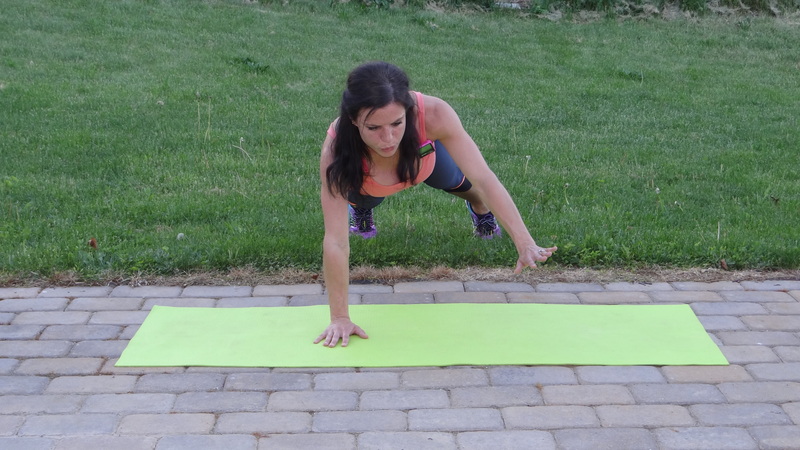 If you haven’t tried my last new workout yet you can find it here: 16-Minute Total Body Workout: No Equipment, Body Weight Fat Burn. It was a great full body workout and fat burn. I was wiped out after one round. It is definitely one I will be repeating. I am looking forward to seeing my strength progress again. The Workout: This is a full body workout with an emphasis on working your core from every angle. The muscle fibers that make up your midsection require movement in all planes to maximize activation. In other words, this routine will work all of the muscles that make up your tummy, sides, and low back. A true core workout will exercise these muscles in all planes of movement to create strength and support. 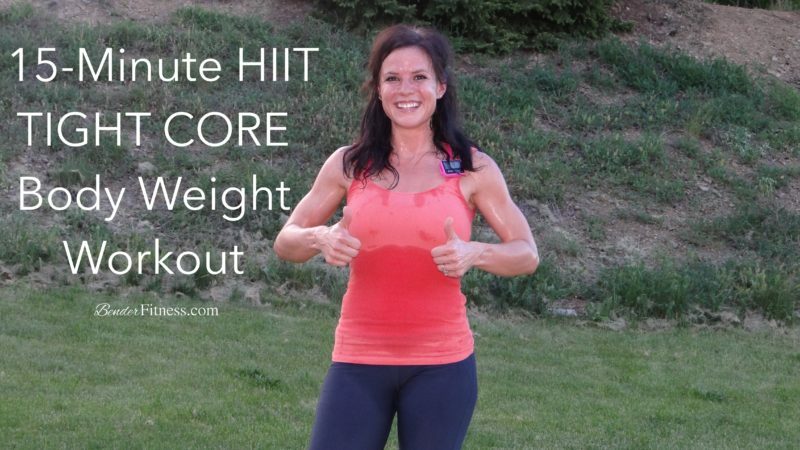 I also included cardio based movements throughout this workout to maximize fat burning and elevate your heart rate. As always, focus on form and listen to your body. Go for maximum repetitions, but don’t sacrifice your body alignment. New Workouts: We have more coming! Being back on a more consistent filming schedule has me feeling much better. I have missed bringing you new workouts. It has rejuvenated my desire to create new content to share here. I will still be posting on my @BenderFitness account, but if you want to see more generalized posts you can follow me on the new account. I can’t promise it will be exciting. Most likely it is going to include lots of photos of books, because I am obsessed with reading. It will be posts that aren’t workout specific. I try to keep my BenderFitness account more streamlined. Interval Timer Set for 15 Rounds of 10/50. –Buy a Gymboss now. Thank you so much! This was a very challenging workout for me. What do you recommend if my wrists start to hurt a little when doing the mountain climbers and side plank? I don’t typically have any issues with my wrists. Love the outdoor scene! I am curious what your weekly workout plan looks like since you are wanting to build strength. Tried this one again today. 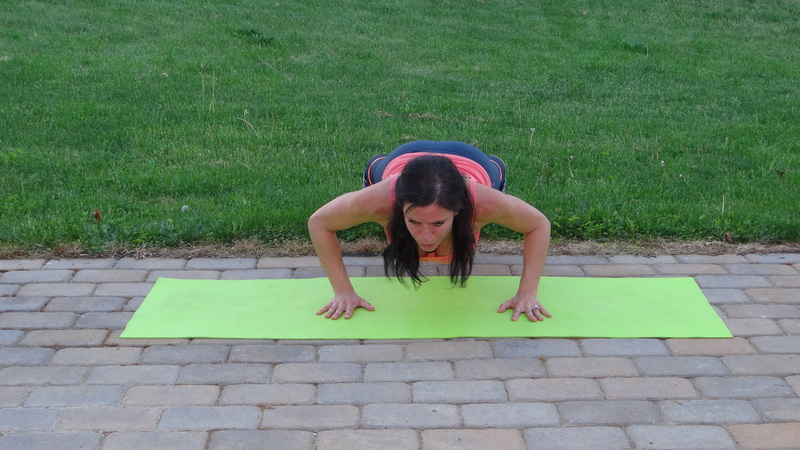 Wrists only bothered me on the side planks, so I stopped. I’ve only sporadically worked out this summer. Back in May I was doing your body rock boot camp and was feeling great. I would say I typically would try to do strength training 2-3 times a week, usually one of your workouts and either long walks (1-2 hours) or a shorter run, 1-2 miles.